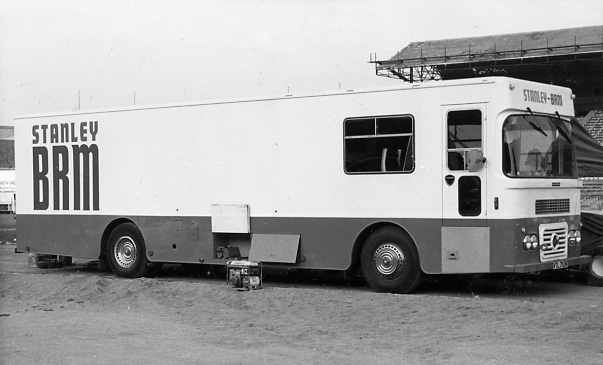 Pegaso "Koffer - Bus " for promotion equipment from the late1960ties or early 1970ties. Leyland Leopard PSU3B.4R chassis 7200400 1972.The grille badge says DELL .the windscreen is Roe/Park Royal. It was alive and well in Marlboro colours in2012.The coach builder was a small local firm.Lotus's one was by Marshalls.